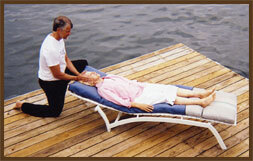 Integrated Energy Treatment is very similar to Reiki. However, this treatment works through a more conscious and active process between practitioner and client through energy exchange and dialogue. Important life issues and challenges may arise at any time, which may cause stress. The Integrated Energy Treatment can help the client work through and move on with his/her life. Integrated Energy Treatment can be a powerful way to support your life path in times of transition and challenge.